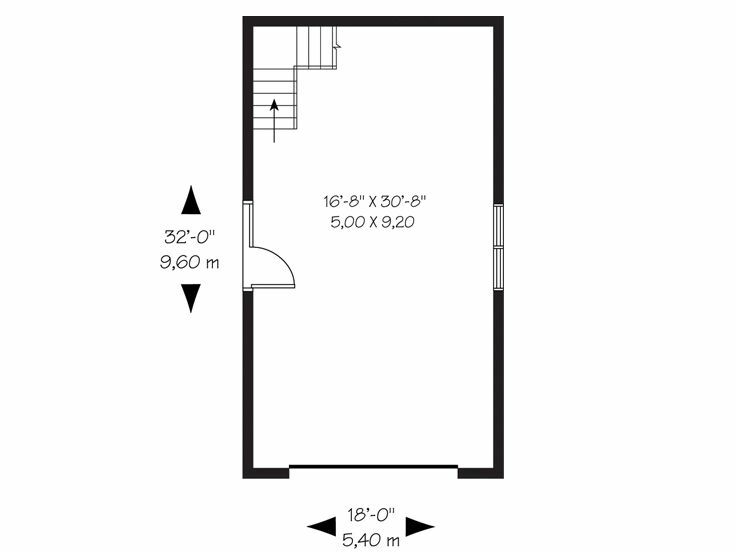 Width 18 ft. 0 in. 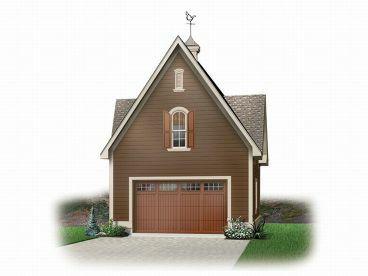 The well-tailored exterior of this one-car garage plan lends striking curb appeal that is sure to complement your home. 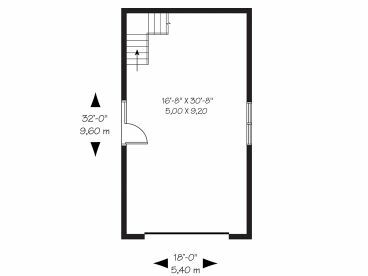 An overhead garage door opens to 576 square feet of sheltered parking. 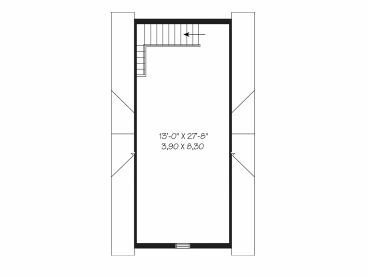 Store one car here and enjoy a little extra storage space at the rear of the garage or use the extra deep bay for boat storage instead. 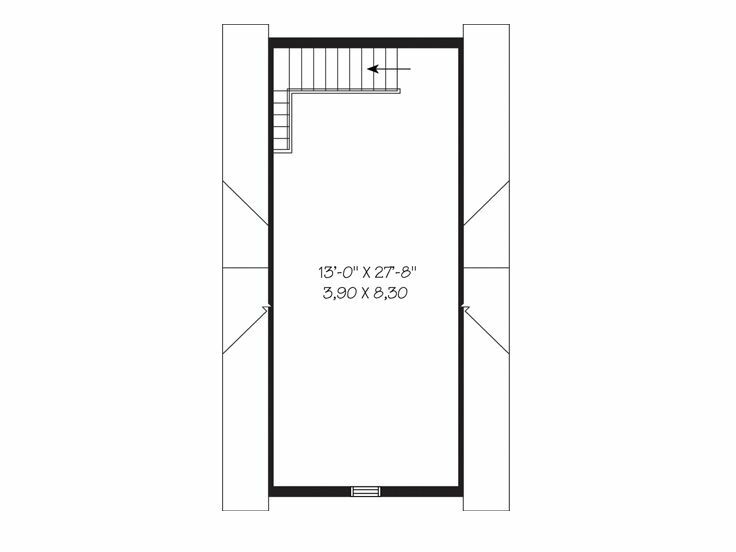 Interior stairs point the way to the second floor loft where 398 square feet of space is ready to handle all your storage needs. Dress up your backyard with this garage plan with boat storage and loft.